A European weed, first collected in Michigan in 1935 near Ypsilanti, Washtenaw Co. Still local along roadsides, in oak-hickory forests, and on river banks, but likely to spread. The ligules are light yellow when fresh but turn blue on drying. MICHIGAN FLORA ONLINE. A. A. Reznicek, E. G. Voss, & B. S. Walters. February 2011. University of Michigan. Web. 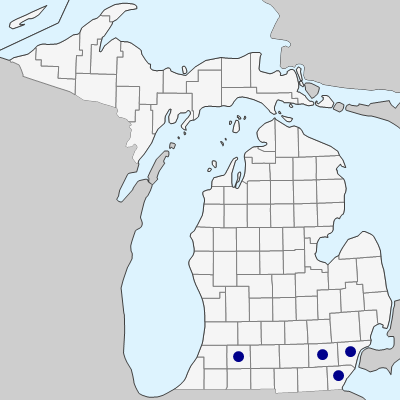 April 21, 2019. https://michiganflora.net/species.aspx?id=388.